Mayo Clinic reports 400 mg a day as a safe amount for healthy adults. When I heard on the news that an 18 year old had died from a caffeine overdose, the image that immediately came to mind was a stack of empty energy drinks. That, however, is not what happened. The high school senior had consumed a teaspoon or more of powered caffeine, 16 times the recommended dose. The Mayo Clinic reports 400 milligrams of caffeine a day as a safe amount for healthy adults. 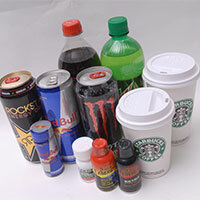 Adolescents should consume no more than 100 mg.
Basically these are saying that if you consume two or more of the high end energy drinks you are way over the recommended safe amount and are putting yourself at risk. The same for four or more cups of regular coffee. A large dose of caffeine can result in heart attacks and seizures. That’s what happened to the high school senior. His autopsy revealed he had died of seizures and cardiac arrhythmia, or an abnormal heartbeat, brought on by a caffeine overdose. So this week, as you reach for that Monster or cup of joe, take a moment to consider how much caffeine you’ve consumed. Perhaps it’s time for decaf…. Posted in healthy lifestyles	Bookmark the permalink. ← Ebola: Should I be worried?